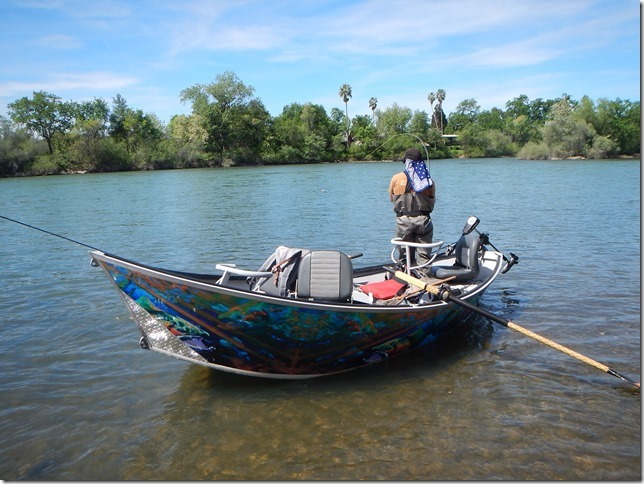 Fly Fishing The Lower Sacramento River $425 for One or Two Anglers, Includes All Gear, Flies & A Streamside BBQ Lunch. Located Near Redding, California, famous for its healthy population of football-shaped wild Rainbows. We use comfortable drift boats to access the most productive areas of this large tail-water, always in search of that next monster Rainbow. 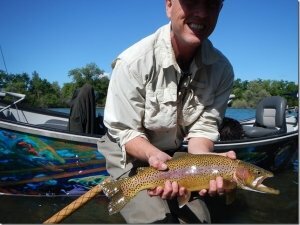 The Lower Sac offers year round opportunities for excellent trout fishing and a great day on the river! Put The #1 Fly Fishing Guide Service In California On Tripadvisor, Put Us To Work For You! Go Out In One Of Our Professional Driftboats, We Also Get Out And Wade The Lower Sac At Low Levels. 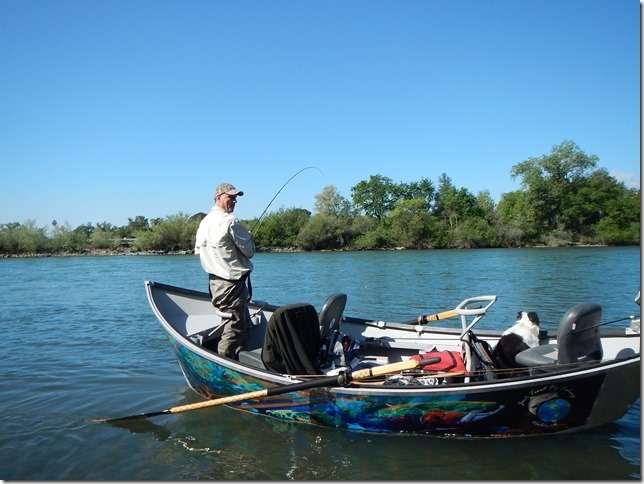 Guide Jack Trout Has Been Guiding The Lower Sac, Upper Sac, Trinity & Klamath Rivers Since 1994. Went out with Jack and his dog, Beef, on the Lower Sacramento to do some fly fishing for rainbow trout. I had called around to various guide shops asking about going fishing for steelhead, and everyone I talked to essentially listened to what I had to say and then was ready to take my credit card info. to book a trip. 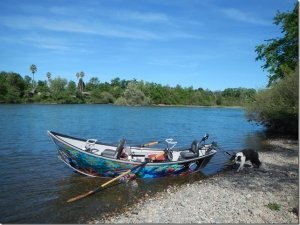 When I called Jack, he told me that the steelhead fishing hadn't been good this year and thought that fishing for rainbow trout on the lower Sacramento would be more successful, and we might even catch a steelhead or two as well. Jack continued to provide helpful info. about the river, our gear, and my fishing technique throughout the whole float trip down the river. He also patiently re-tied my terminal tackle every time my casting caused a bird's nest; much faster than my own skills would have allowed, and getting me back to fishing quickly. I would highly recommend Jack as a fishing guide, especially for those who are looking for a relaxed guide who is more than happy to share his knowledge. I should also mention, we had a great day out on the river; I hooked over a dozen massive rainbow trout and even got to hook and land a steelhead as well! Ryan Williams Guides The Lower Sacramento, Putah and Lower Feather Rivers. The Best Fly Fishing Guide Lunch Served In The Industry Today. My boyfriend and I booked a trip with Jack Trout this past weekend. It was my first experience fly fishing, so I was nervous about getting in the way or being a bother... there was no reason to be nervous at all on this trip. Jack was super helpful and patient with me. I even caught my first huge rainbow trout! With the sunny weather, homemade lunch, and good conversation, the day couldn’t have gone any better. My boyfriend is good at the sport and really enjoyed himself on this trip, also found Jack’s knowledge helpful. Very fun float - definitely recommend! Could not have had a better Fall day on the river, and Jack put us on fish all day. I learned a lot about the art of flyfishing and landed 2 of the biggest trout I’ve caught. Jack is really good with novices to experts and my buddy Bob and I will be bringing our boys back this spring (to try the Upper Sac). Jack’s wife Carola packed a great BBQ chicken lunch for us, which we enjoyed on a rock/sandbar as fellow guides and locals floated by all chatting with Jack. You have to work hard not to enjoy yourself with Jack. Springtime on the Lower Sac is the most productive time of year. Midday caddis hatches can be seen blanketing the water. This is the time of year you hear about the famous "Mother's Day" caddis hatches. On some days we catch trout on dry flies in fast rolling currents but subsurface patterns always seem to be more productive on the Lower Sac and we use caddis pupa patterns to fool very large trout. Trout are very hungry waiting to get ready for spawning and it is not unusual to hook 20 or more trout in a day when the bite is on! Please respect all spawning trout and stay away from the spawning areas and the spawning beds called redds. 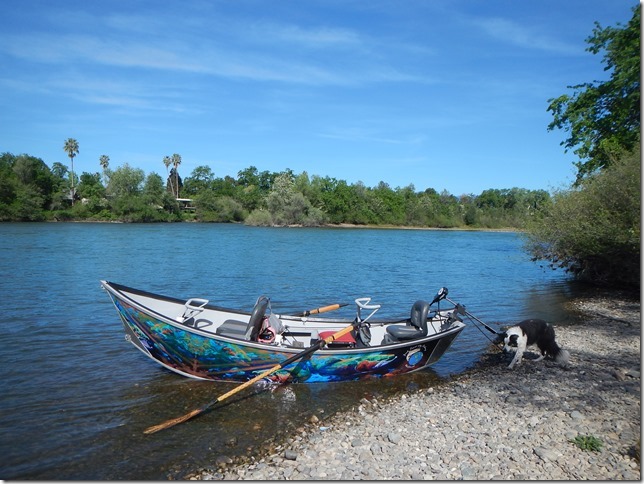 Summer is always hot on the Lower Sac both angling and in the boat. We seldom wear our waders then, shorts and tevas are best for comfort... Most days are in the 100 degree range so wear a wide brim hat for the sun and bring lots of sunblock. We always have plenty of water, a great guide lunch and productive fishing since the water that comes out of the Keswick Dam is temperature controlled at a constant 56 degrees. You might be hot but the fish are happy and hungry for hydropsyche caddis! 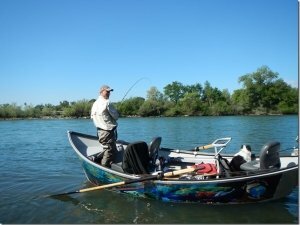 Fall is a great time to fish on the Lower Sac. In September, the water starts to be lowered from the higher flows of summer, and then the salmon begin to arrive. As salmon begin to lay their eggs in all sections of the river, hungry trout move into these areas to gorge themselves on the salmon's eggs. You will also experience the arrival of steelhead in the lower sections of the river, from Anderson down to Los Molinos, and our guides fish this lower river frequently and land huge steelhead and trout. This truly an exciting time of year we look forward to always. This time of year depends on the weather we receive in the North State. Though the fishing is not as productive as other months, the size of the trout can be amazing. WE SUPPLY SIMMS G4 WADERS & BOOTS, RODS, REELS FOR ALL OF OUR TRIPS PLUS WADING STAFFS & A STREAM SIDE GOURMET LUNCH . Our guides are on this river everyday. We take pride in having some of the best knowledgeable guides available for guiding like Forrest Brizendine & Matt Mitchell and Jack Trout, who have been fishing and guiding it for decades. Our guides are professional and passionate about their guiding on the Lower Sac and have developed many new methods and fly selections that are used today on this nymph fishery. We've been fishing and guiding this section of river for over 20 years and have found that slack-line mending with a strike indicator is the most effective way to fish the Lower Sacramento River . Drag-free drifts, throwing out extra line, as well as mending upstream are mandatory for success. Please do not fish on or around spawning trout especially in the spring. Our guides are always polite out on the river and set an example by being courteous to other guides, fishermen and boaters. Have fun and good luck! Call us for any information, on flows, hatches, fly selection or to book a guide and drift this California fly fishing jewel. California Best Western Hilltop Inn ~ 2300 Hilltop Drive Redding CA 96002 Phone: (530) 221-6100 ~ Website: www.bestwesterncalifornia.com ~ Ask for the Jack Trout discount! Jack Trout Fly Fishing Proud Member of Mount Shasta, McCloud, Dunsmuir & Visit Redding Commerce Chambers.